Lilit is committed to empowering and educating youth, women and vulnerable groups capitalizing on diversity, strengthening leadership and building impactful community organizations. She is passionate about traveling, exploring cultures of the world and spending time in nature. 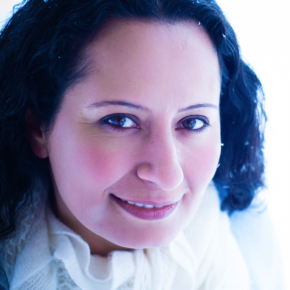 Lilit is social entrepreneur, executive consultant and a certified adult educator. Since 2013 permanently moving to Canada, she has been actively involved in promoting women empowerment, inclusion and capacity building in public and not-for-profit sectors. She works at the Diversity Office, Ontario Public Service as Senior Program Design and Development Analyst. In 2016 in partnership with Dr. Jean Kim, Lilit launched Live Your Potential (LYP) Women’s Leadership and Career Development Program. A program that is a response to the need they saw in Southern Ontario where women often are dissatisfied or unmotivated at their jobs, underemployed, or underpaid. The LYP program supports and enables women to bring happiness in their professional lives – be it regaining a sense of purpose and enthusiasm in their current jobs, seeking new career opportunities, acquiring new skills and qualifications, or climbing up the career ladder. Since its launch, the LYP Program has empowered dozens of women from diverse backgrounds and industries, equipping them with the confidence, tools, and skills to achieve career success. Lilit’s career path began in her native Armenia she started a not-for-profit youth organization (Stepanavan Youth Center) at the age of 21 with the aim to contribute to the development of her country. Starting from local issues she moved to international collaboration and actions to bring better understanding and partnerships among people, particularly youth from diverse backgrounds, and to promote peace building and a better world for everyone. Youth projects she initiated include ArqaNe (formerly GLOW) Girls’ Leadership and Empowerment project in Armenia and European youth projects on intercultural learning, peace building, and volunteerism. Simonyan holds two BAs in Foreign Languages and Economics and an MA in Public Administration from the University of Kansas. She is an alumna of Draper Hills Summer Fellows Program on Democracy and Rule of Law at the Stanford University, Netherlands Fellowship Program at Maastricht School of Management, U.S. Department of State of State Edmund S. Muskie Graduate Fellowship, TALE by Youth Partnership of the Council of Europe and the European Commission..
Lilit’s contributions in the not-for-profit and youth sectors of Armenia have been recognized by the Prime Minister of Armenia, International Youth Foundation through YouthActionNet award (2004), IREX through Careers for Alumni in Public Sector (2008 and 2010); and by the Aspen Institute Romania Young Leaders program (2010). Lilit developed her skills in training and consulting, as well as in designing, implementing, and evaluating programs. She worked with youth and women serving organizations in Canada, and explored opportunities on bridging the gap between formal and non-formal (experiential) educational methods. Sauvé gave me an extraordinary gift – time and space to pause, reflect, re-focus and recharge.